If you want to give a more urban look and feel to your Minecraft, this mod may interest you. RoadWorks 1.7.2 is a mod that adds a new block that looks like the asphalt. But obviously roads are not just made of asphalt, they includes, signs, boundary lines, etc.. There is a paint roller for each of these signals, arrows and lines that allow us to visually create complex systems of communication at the road, ideal for those who want to build a city in Minecraft. If you still want to further improve your city you can always add streetlights and traffic lights that adds Lamps and Traffic Lights mod, created by the same author. 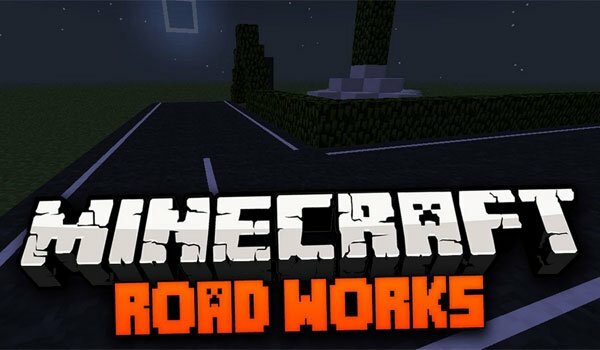 How to install RoadWorks Mod for Minecraft 1.7.2? Build an urban city to your Minecraft, creating roads and signs!